On April 12th, the asteroid Ceres goes direct. It has been in retrograde motion (appearing to go backwards in the sky) since January 11th and causing all kinds of problems on the domestic home front, with money and also with relationships. Ceres is the goddess of corn and fertility so when this asteroid originally went retrograde, many couples got bad news of one kind or another. Some found out they had fertility problems. Many people suffered through infidelities, coldness in their relationships, and also problems with their children at this time. The good news is that this asteroid stops this backwards motion and goes direct in the sign of Virgo on the 12th, putting some of these situations that have seemed so unjust and insoluble back in order. There are some other astrological influences around that time that may subtly impact how Ceres turning direct will affect your sign as well. For instance, love planet Venus will go into the sign of Pisces, which may create a subconscious undercurrent of discomfort in some relationships. Many signs will also be suffering from the fall out of Pluto going retrograde in the sign of Capricorn, just a few days before as well. Here is a look at how Ceres going direct in the sky on April 12th might affect your zodiac sign. Ceres going direct will have a direct impact on your career and finances. If you have been working hard, you will finally be justly rewarded for your efforts. You will just find everyone easier to get along with in general. Your partner may experience less stress and if you are single, you will have more money to spend on things like makeovers and dinners out with friends. Ceres going direct gives you the go ahead to give all you got to that special someone. This is an excellent day to propose to the one you love. The direct motion of the asteroid will give you the confidence and emotional security that you have been craving for so long. Artistic endeavors will go well too. This is one of your best days for buying art and furniture. When Ceres goes direct, you may find yourself blessed with furniture or appliances that you have always wanted. A proposal for marriage might also be in your future. Many Twins may receive the news that they will soon be adding to their family. Joyous times with pets and children are also favored. If you are a writer you may receive good news about a grant or big job. When Ceres goes direct, your finances will improve vastly and you may even find yourself investing in some property. If you have been working hard, you are sure to reap a reward. Someone who has been critical of you may be more lenient in how they treat you. You may also the wise words of an older woman to be enlightening and comforting. 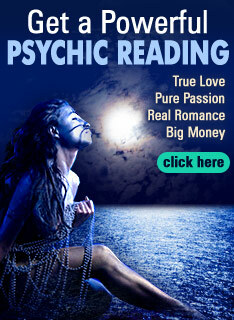 When Ceres goes direct, you will find yourself blessed financially and romantically. A project that you thought was dead in the water might suddenly get the green light financially. This could be a very rewarding spring for you to creatively. An older woman that you have been distant from for some time may suddenly make contact with you again (and this will be a good thing). When Ceres go direct, you may see a slight improvement in your finances. However, Pluto and Venus are working with this asteroid to teach you to be more accountable for your actions and to stop blaming others for your problems. You may receive good news about your property or a divorce settlement. This day is excellent for gardening or starting art projects with children. When Ceres goes direct, you may find yourself offered something you have always wanted. It could be a relationship, land, or a job promotion. However, thanks to the influence of Pluto, you may not feel that you are ready for this. This is also an excellent time for you to pitch new ideas, as others will be very receptive to you and want to promote you. Many of you could receive news of a pregnancy or decide to get married once Ceres goes direct on April 12th. All Scorpios are exceptionally fertile at this time, so you may want to use protection if children are not on your must-have list in the near future. You might also be blessed with extra cash or a lottery winning. If you have been generous and goodhearted, then you are about to sow what you reap thanks to the effect of the corn Goddess asteroid Ceres turning direct in the sky. However, if you have been creating discord or gossiping, this kind of thing may come back to haunt you this week. When Ceres turns direct, you may find yourself blessed in small ways. You may find that perfect piece of furniture you always wanted. It is especially a good time for you to acquire home appliances or furniture. However, Pluto going backwards in your sign still makes dealing with your major relationships a bit difficult. Ceres may also bring you good advice from a woman who is much older. When Ceres turn direct, you may find yourself a little better off financially. You may finally find the money to square off a debt that has been on your mind for some time. This is also a very good time for you to go shopping for furniture or art or to beautify your home in any way. The effect of Ceres going direct will be positive on all of your relationships. You will find yourself becoming closer to your spouse or children. Single fishes may find themselves thriving in a new relationship. If you are male, you are likely to be romantic with a much older woman. If you are female, you could meet a younger yet very appreciative male.